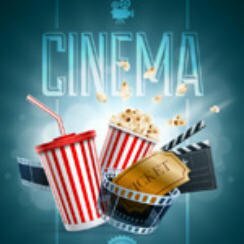 Popcorn Cinema Show takes a look at the weeks new movie releases (August 12 2016) for the UK, US, Australia and New Zealand at the cinema, plus all the weeks film news. Pete’s Dragon releases in both the UK and US other releases include the thriller Nerve in the UK. The film enters both the US & UK charts at number 1. A high school senior finds herself entangled in an online game of truth or dare in a world where anonymous watchers begin to manipulate her every move. Mike and Dave are brothers that like to party, however they need dates to attend a wedding with. To that end they place a online advert. Nancy Adams is a pro surfer who is going to find herself stranded on a big rock off the coat of an island known as paradise. Why is she stranded? Well that is because of the great white shark that is circling the rock. Grace works as a forest ranger and grew up on stories of a fierce dragon who resides in the forest. Until now that’s all they were, stories, but Grace is about to find out that the story is true. The true story of the eponymous New York heiress who chased her dream of becoming a great singer. A sausage leads a group of fellow supermarket products on a mission to find about the truth about their existence and to discover what really happens when they leave the grocery store.